Albemarle 320 Express Boat Specifications. The following specs for Albemarle boats are for informational purposes only; we do not guarantee their accuracy. Production year(s): 1990 – ? Albemarle 305 Express Boat Specifications, specs. The following specs for Albemarle boats are for informational purposes only; we do not guarantee their accuracy. Production year(s): 1995 – ? Albemarle 280 Express Specifications. The following specs for Albemarle boats are for informational purposes only; we do not guarantee their accuracy. Production year(s): 1984 – ? Albemarle 265 Express Specifications. The following specs for Albemarle boats are for informational purposes only; we do not guarantee their accuracy. Production year(s): 1993 – ? Bayliner 2252 Ciera Express Boat Specifications Specs. The following specs for Bayliner Boats are for informational purposes only; we do not guarantee their accuracy. Bayliner 2859 Classic Cruiser / 2859 Ciera Express Specifications. The following specs for Bayliner Boats are for informational purposes only; we do not guarantee their accuracy. 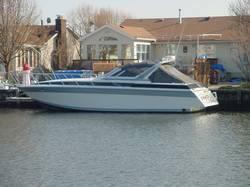 Chris Craft 25 / 26 Crowne / 260 Express Specifications. The following specs for Chris Craft Boats are for informational purposes only; we do not guarantee their accuracy. Chris Craft 240 / 248 Express Cruiser Specifications. The following specs for Chris Craft Boats are for informational purposes only; we do not guarantee their accuracy. Chris Craft 412 Amerosport Express Specifications. The following specs for Chris Craft Boats are for informational purposes only; we do not guarantee their accuracy.